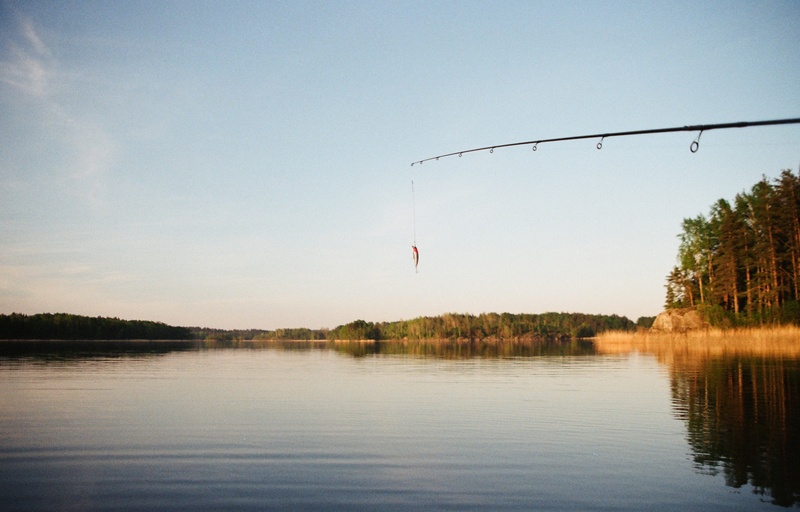 Are you the type of person who enjoys going fishing during your free time? Fishing is known as a very relaxing hobby, and while it maybe relaxing there are various ways to heighten the experience and make it far more enjoyable than it already is! Here at Gear Hungry, we have complied a list of the top 5 underrated gadgets, which can add to your fishing experience. Be ready to catch some awesome gadget and release them on the waters and watch your experience become something so much more. The mango digital scale can weigh fish up to 100lb. 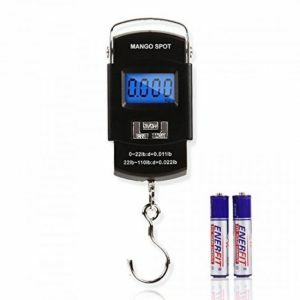 1, Mango Spot LCD Electronic Balance Digital Fishing Hook Hanging Scale. Do you ever want to know how much that fish you just caught actually weighs? No more estimating when revealing how much your catch of the day weighs! With the mango spot LCD digital hanging scale no more guessing as it gives an accurate reading on the spot. This handy portable device is a great addition to any avid fishers tackle box. The mango digital scale can weigh fish up to a staggering one hundred ten pounds, it has a stainless steel hook and a tare function, which helps ensure every reading, is accurate. Fishing is a sport requiring a lot of patience; this is due to sometimes the fish simply won’t bite! 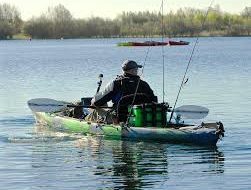 Most of the time fishermen resort to placing their rods in a holder or against the side of their boats. Although this method is handy when the fish just won’t bite sometimes it can lead to missing the item. However, booms fishing E1 fish finder bite alarm is super useful as it alerts you whenever a fish takes the bait. 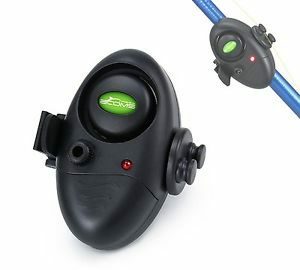 The booms fish finder bite alarm reacts instantly meaning you never have to miss another bite! This gadget is easily fixed to any type of rod out in just a matter of minutes. It makes a buzzing sound every time you get a bite; it is ultra sensitive so even the tiniest is registered. The device also features a led light for those who enjoy fishing in the early hours or late at night. This battery-powered device packs a punch with the battery lasting for up to half a year! This groundbreaking device connects to your smartphone via Bluetooth and sends information directly to your phone! Sometimes in fishing you just can’t catch a bite, this can be due to a lot of different factors such as which are beyond your control. This groundbreaking device connects to your smartphone via Bluetooth and sends information directly to your phone! 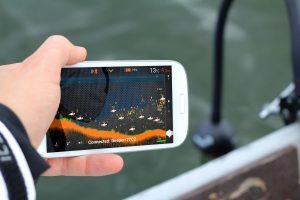 The deeper portal fish finder sends information about the fish, the pond bed, water temperature and many other influences directly to your phone. The sonar technology works water depths of up to 40m. 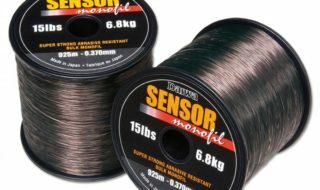 This device works in both salt and freshwater environments meaning you’ll never have to worry again about why you are not catching any fish. The Jet Logic A-2 Complete Folding Anchor System fits easily under boat seats, which enables easy storage. If you’re lucky enough to own your own sailboat, then you will know how making sure you are safely anchored is imperative and possibly one of the most important safety issues! This is to ensure you do not get lost at sea and that your vessel stays in place when not in use. To be sure your boat is safely it is very important you have the best anchor possible. This 3 1/3 pound 4-fluke anchor will help to moor your boat in a variety of different terrains including mud, sand, rock, and gravel. 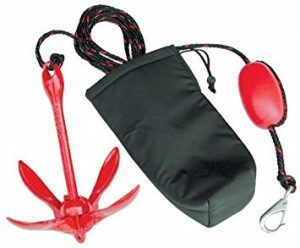 The Jet Logic A-2 complete folding anchor is specially designed to aid sailboats, watercrafts, canoes, float tubes, and inflatable boats in anchoring. The device fits easily under boat seats, which enables easy storage. Now you’ll never have to worry about becoming lost at sea, as anchoring has never been easier as Jet logic has a 25ft marine grade rope! 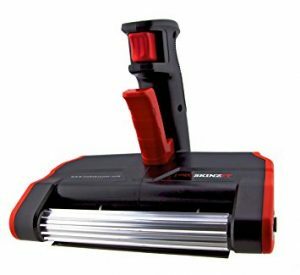 The KINZIT Electric Fish Skinner skins and fillets your fish with ease. After a long day of fishing, the last thing you want to do is have to skin and fillet your fish yourself. 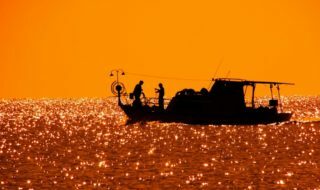 It can every rewarding after a day of fishing about cooking your own fish you caught, however, This task can be much harder than it initially appears to be. SKINZIT is an amazing tool, which makes skinning and filleting your fish so much easier. No need for any fancy knives or skills as SKINZIT does all the work for you! The only thing you need to use the device is a power outlet. This underrated gadget is able to clean your fish saving you time. The SKINZIT works quickly and efficiently to skin and fillets your fish. The gadget is easy to operate and cleaning after use.